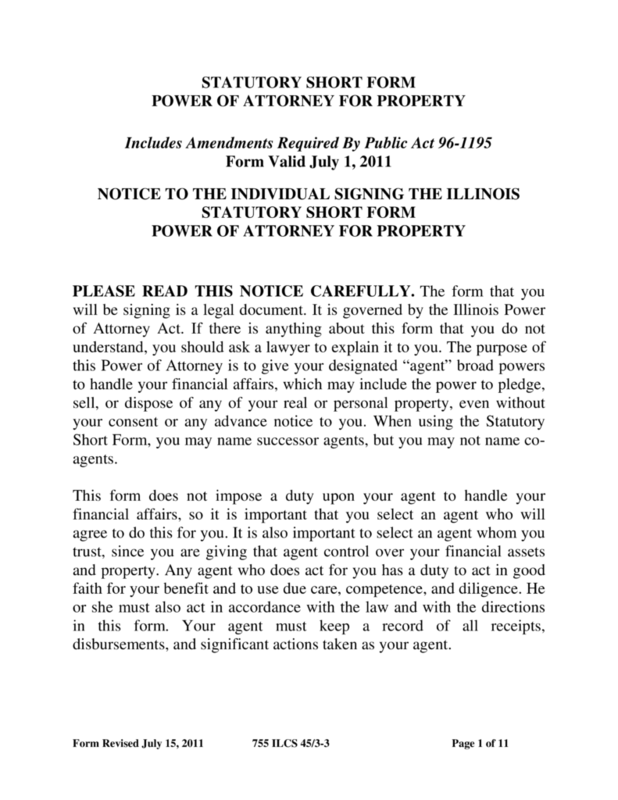 Illinois Power of Attorney Forms is a solid tool used by principals to authorize allow another person to stand in his or her stead and act on his or her behalf. This template is instrumental when an attorney-in-fact must be appointed with the principal power to provide assistance in areas of one or more areas of life such as taxes, motor vehicles, children, healthcare, and/or financial matters. If the forms are used properly, they provide a legal tool for the agent and a legally binding set of rules he or she must follow. Note: it is very important that the person appointing a representative always pick a representative who they can trust and who is reliable. Durable Power of Attorney – Generally confers broad financial powers on a representative and it continues even if the person creating the power is adjudged incapacitated. General Power of Attorney – Also generally confers broad financial powers on the representative, but it is non-durable, meaning it becomes void if and when the principal is adjudged incapacitated. Health Care Power of Attorney – Allows you to appoint someone to act on your behalf with health care decisions when you are unable to. Limited Power of Attorney – This type is limited to a specific transaction or to a specific time period and becomes void once the transaction or time period is complete. Minor Child Power of Attorney – Allows you to appoint someone to make decisions on behalf of your minor child in the event you are not going to be available for a period of time. 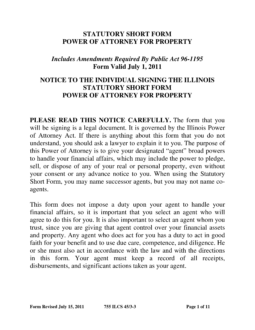 Power of Attorney Revocation – Cancel any power of attorney that you may have created in the past. Tax Power of Attorney (IL-2848) – Can be used to appoint someone to act on your behalf with tax issues. Signing Requirements: Taxpayer and Enrolled Agent/Attorney/Accountant – Two (2) Witnesses and Notary if power of attorney is granted to an individual other than Enrolled Agent/Attorney/Accountant. Vehicle Power of Attorney – Allows you to appoint someone to act on your behalf with regard to registering and titling vehicles.